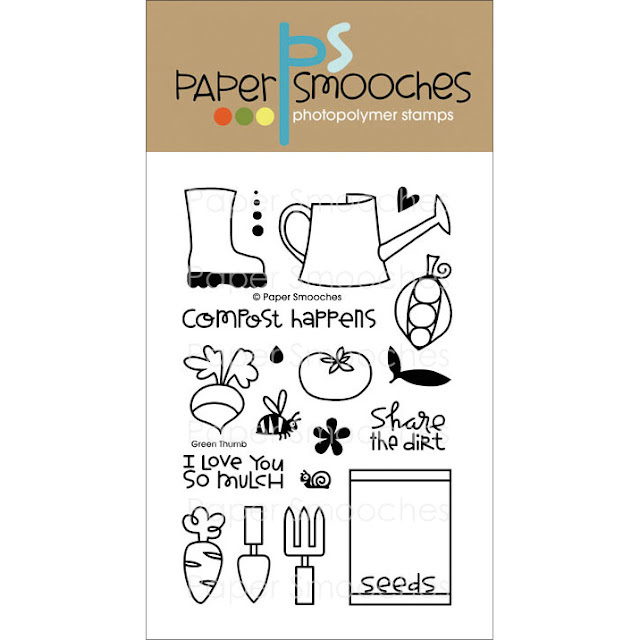 Paper Smooches is looking for a guest designer for February so I thought this would be the perfect opportunity to play with my darling "Green Thumb" set that has been begging to see some ink. I decided to challenge myself to create a variety of cards using a single set to showcase these stamps amazing versatility! 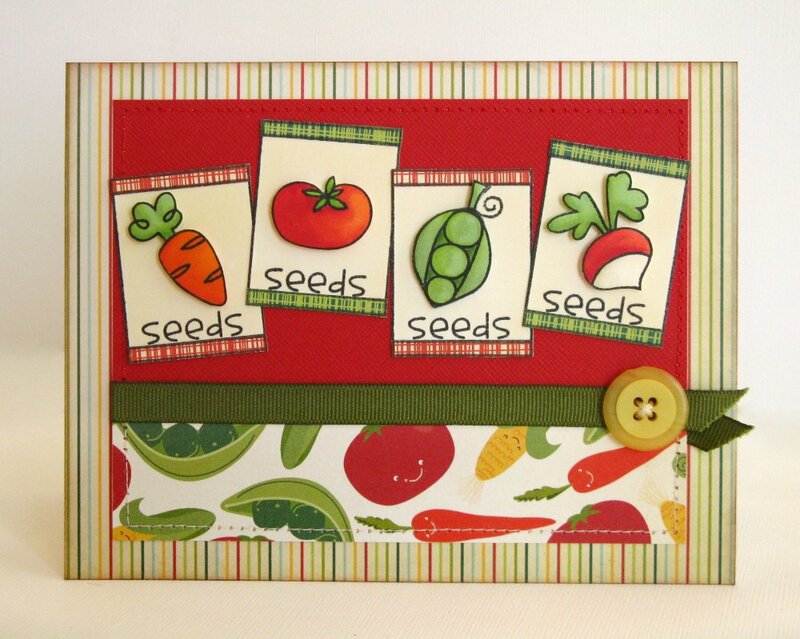 For my first card, I couldn't fight the urge to immediately pull out my Copic markers and color all the vegetable images in this darling set. I paired them with some old Cosmo Cricket Garden Variety papers that I haven't had the heart to part with. I thought they complimented each other pretty well. 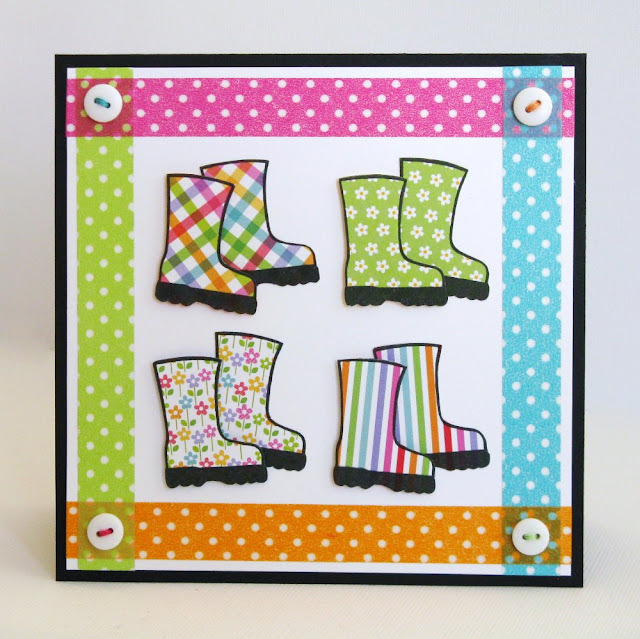 For my next card I took the gardening boots and turn them into cheerful, happy rain boots! Can I just say I would love to have all these boots in real life?! They totally make me happy! I stamped them onto shrunken down 6x6 prints from Doodlebug's Fruit Stand collection and bordered my card with coordinating strips of polka-dot washi tape. I also popped up the top boot from each pair with foam tape for a little extra dimension. Gorgeous projects Mandi!! Love the stamps! The last card is my fav!! 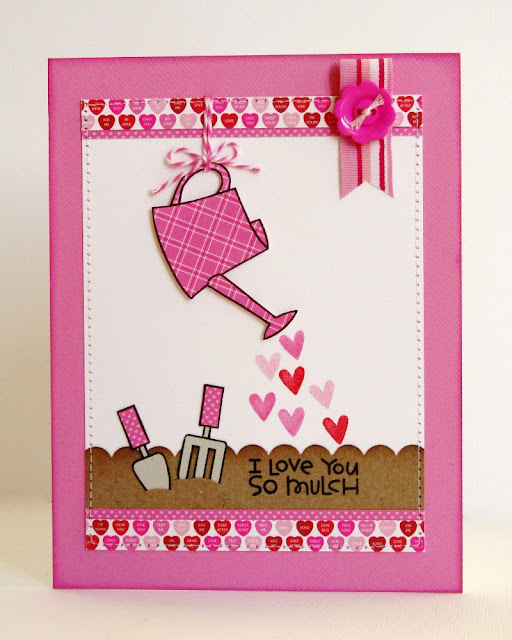 Oh these cards are adorable Mendi! I especially love that last one the most... so beautiful and perfect for Valentine's day! Gorgeous! Have a great weekend my friend!!! All so cute...especially love the last one with the watering can...love those Paper Smooches images--so stink in' cute!